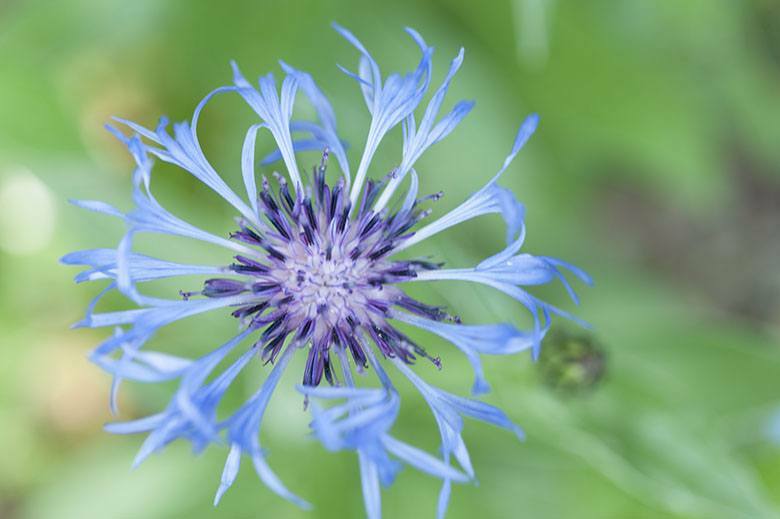 This month, I wanted to play with some softer colours, so I went searching through my photographs and came across this Cornflower and thought it was perfect. The soft greens, blues and purples are some of my favourites and such a great analogous colour scheme. 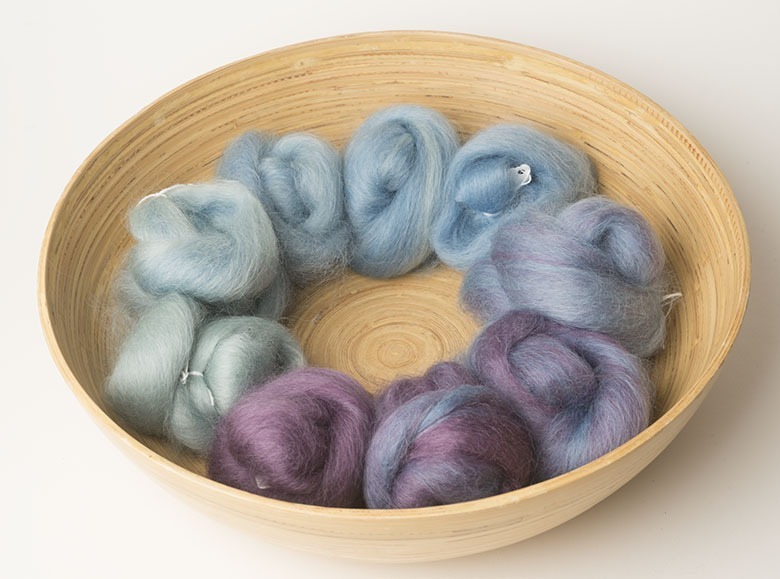 Basic club was Wensleydale and for luxury club, I blended it with silk and mohair! 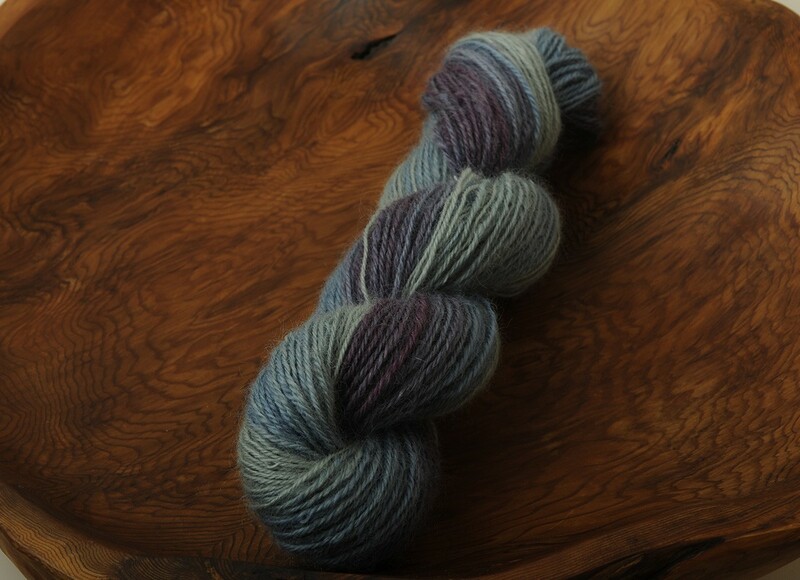 I opted to spin basic club this month, as I haven’t had much opportunity to spin Wensleydale before. This was my gradient set. 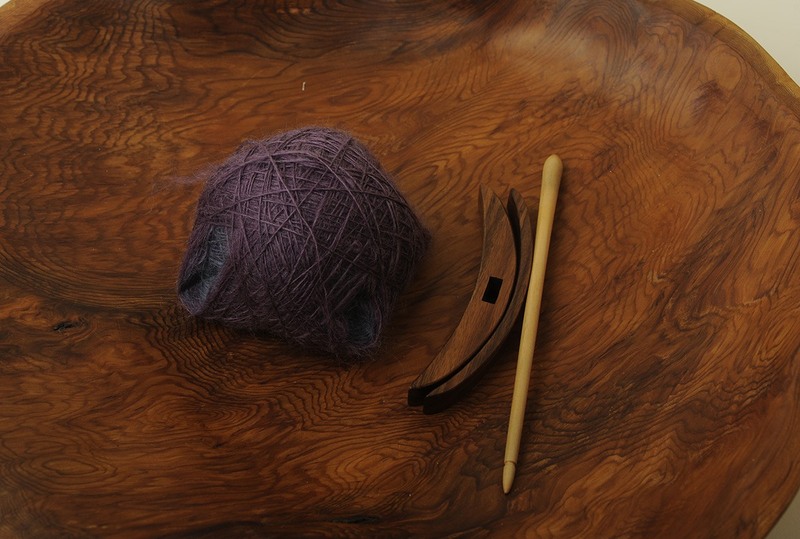 Just before we left on our road trip this summer, my beautiful new spindle arrived from Natural Knot Wood, so I quickly took it with me and decided it would be the perfect tool to use for this month. To sit by the ocean, contemplate life and spin on a beautiful tool seemed like the perfect way to pass time while we were camping! 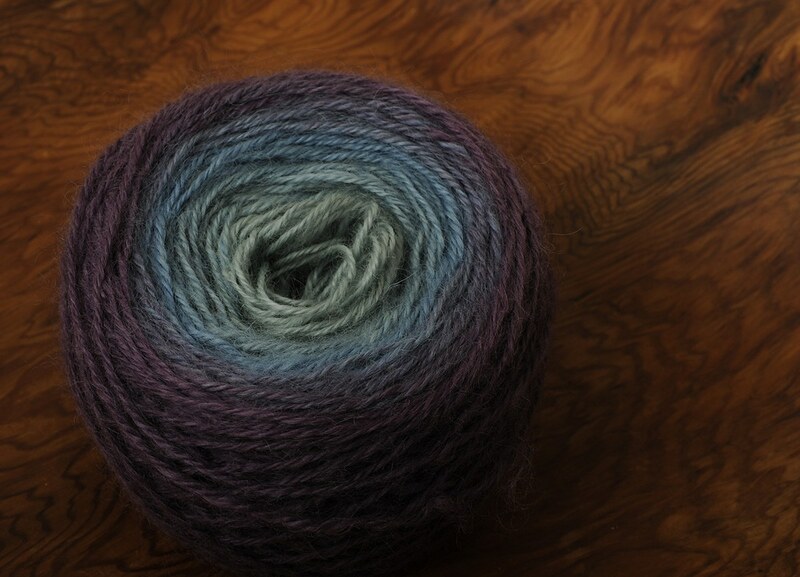 I managed to fit my whole gradient set onto this large spindle, which at nearly 4oz was a bit of a feat! 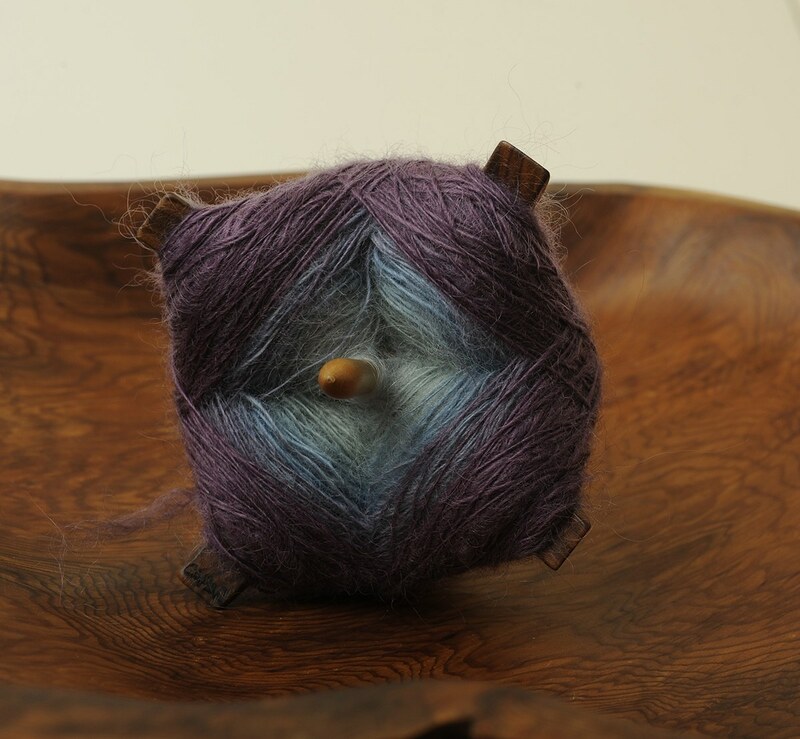 I love the little turtles that come off a turkish spindle. They’re just so cute!! 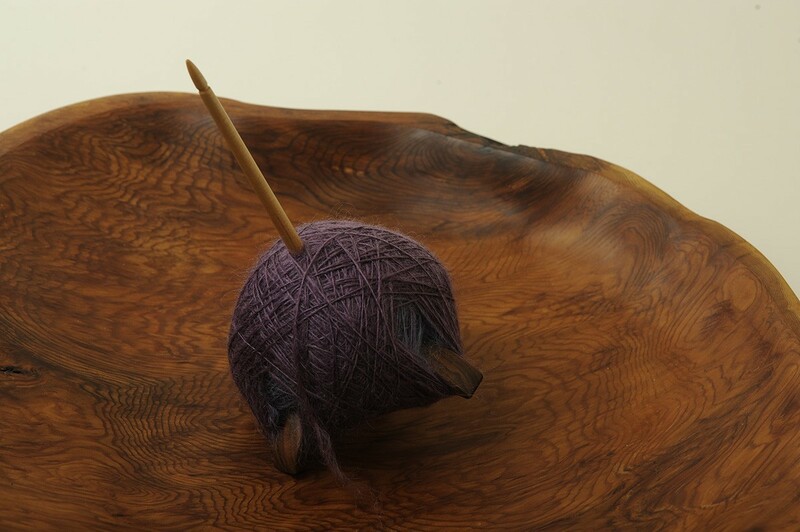 I decided to “cheat” and ply my yarn on my wheel after I returned home. It was the fastest way to finish this up! I love looking at gradients in a cake…they just make me happy! I chained plyed my singles straight from my little turtle and wound up with about 200 yards of three ply. I’m not sure what I’ll make with it yet, but I’ll be sure to share when I do! I would love to see what you do with club! Please feel free to share it over on this thread in the Wool N Spinning Ravelry Group or tag me on Instagram with the hashtags #craftyjaksboutique or #craftyjaksclub If you haven’t signed up for club and you’d like to, please follow this link to my Etsy shop.